Volvo hopes the new XC60 will continue the brand's dominance of Europe's premium midsize SUV segment. 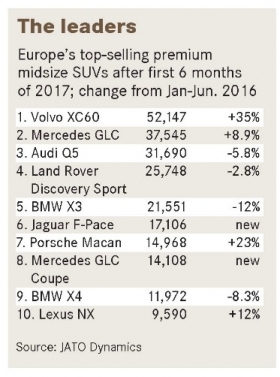 New models from Volvo, Audi and Mercedes-Benz are boosting sales in Europe's premium midsize SUV sector to the point that it has overtaken the equivalent premium car segment. Last year for the first time models such as the Volvo XC60, Audi Q5 and BMW X3 were more popular in Europe than sedan and wagon versions of the Mercedes E class and BMW 5 series. First-half sales of the premium midsize SUV segment rose by 23 percent to 242,682, led by the XC60, according to figures from market analysts JATO Dynamics. Mercedes finished just behind the XC60 with combined sales of 51,653 units of the GLC and GLC Coupe. By comparison, sedan and wagon sales of comparable premium models rose 13 percent to 219,404 units. Continued growth will push the segment to just under half a million this year, up from 409,196 last year, according to predictions from analyst firm LMC Automotive. 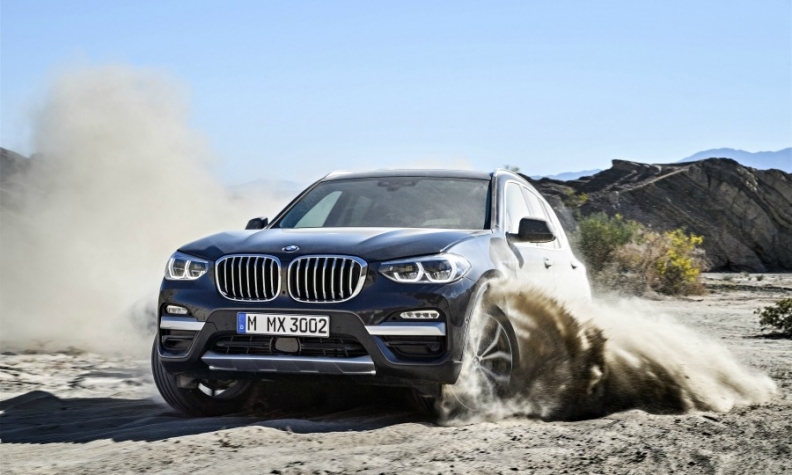 This autumn's launch of the new BMW X3 will help boost sales to more than 560,000 next year with the segment settling around there two years after that, LMC believes. Sales in the premium midsize SUV sector are heavily concentrated in Europe's two largest markets, Germany and the UK, which together accounted for 46 percent of the region's volume in the first half. The UK's love of premium SUVs remains strong despite a dip in overall sales that left it about 6,000 units behind Germany's total. Italy, the next biggest market for the segment, was half the size of the UK’s figure. France was fourth and Spain fifth. BMW expects a sales boost from the recent arrival of its new-generation X3. The midsize SUV segment is unique because it's the only premium segment that Audi, Mercedes or BMW doesn't lead in Europe. 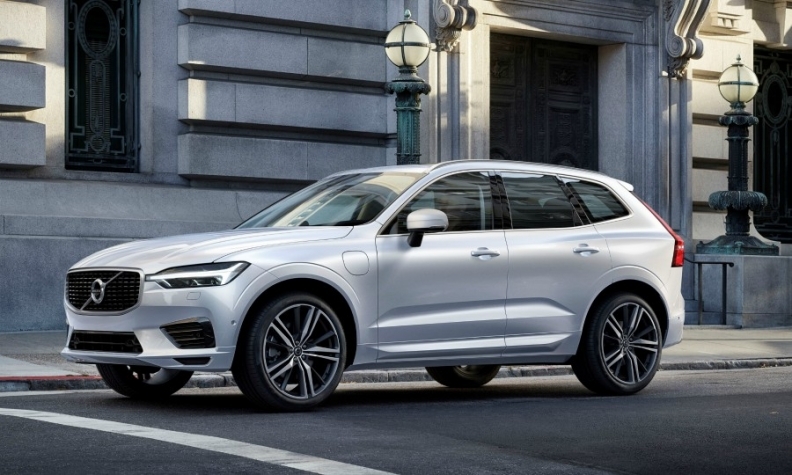 Volvo has topped the segment with the first-generation XC60 and hopes to stay ahead thanks to the arrival of the second-generation model, which debuted at the Geneva auto show in March. At the show, Volvo r&d boss Henrik Green said the first XC60, the automaker's best-selling global model, was the brand's most profitable car. The new Audi Q5, which went on sale early this year, saw sales dip in the first six months on the back of supply constraints from Audi's new factory in Mexico. Supply now seems to be flowing and the SUV had 13 percent growth in August to remain Europe’s No. 3-selling model in the segment. The BMW X3 lost sales ahead of its replacement. The arrival of the new X3 this autumn means the segment is one of the freshest in the industry, boasting newcomers such as the Alfa Romeo Stelvio, Range Rover Velar, Jaguar F-Pace and Mercedes GLC Coupe. The Audi Q4, a rival to the GLC Coupe and the BMW X4, arrives in 2019. The Porsche Macan, Lexus NX and Land Rover Discovery Sport, which all launched in 2014, are now the oldest models in the sector's top 10. The segment is a lucrative one for manufacturers, with average retail prices in Germany hitting 50,561 euros in the first six months, compared with 46,594 euros for equivalent sedans, figures from JATO show. Automakers keep their specifications high in the segment, BMW for example, won't offer its more affordable two-wheel-drive sDrive version of the new X3 in Europe. Volvo, meanwhile, includes as standard active safety technology such as automatic emergency braking with steering assistance, and a technology it calls Oncoming Lane Mitigation, which steers the car back in lane if it detects a potential head-on collision. 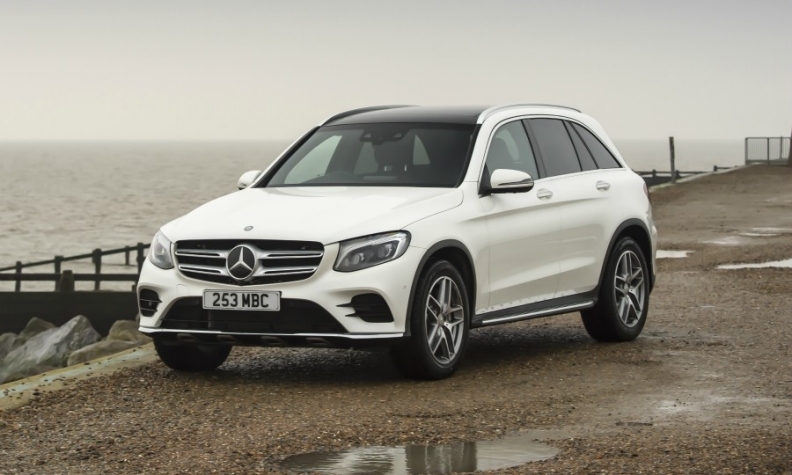 When combined, sales of the Mercedes GLC (shown) and GLC coupe nearly beat the Volvo XC60 in the first half. So far, the segment has been slow to offer plug-in hybrid options compared with the near-total coverage for the segment above, which includes models such as the BMW X5. Only Volvo and Mercedes sell plug-in hybrid options in the sector. Porsche is also expected to offer a plug-in hybrid Macan at the next face-lift of the current generation. BMW has said it will offer an X3 all-electric version in 2020. Sales of Volvo and Mercedes plug-in models accounted for just 2.2 percent of the total segment sales in the first half, less than that of the only full-hybrid in the sector, the Lexus NX, according to JATO figures. The vast majority of sales in the segment are diesel at 82 percent, but gasoline is creeping up – taking a 12 percent share in the first half, compared with 7.4 percent during the same period last year. All eyes will be on the segment next year, however, when the first two of four all-electric premium SUVs arrive, the Jaguar I-Pace and the Audi e-tron. They will be followed by the Mercedes EQ in 2019 and the electric X3 a year later. By 2021, sales of these EV SUVs will hit around 67,000 in Europe, LMC Automotive believes. [LMC includes the Tesla Model X in this segment]. "There is definitely an impact, but not a dramatic one over this time frame," said LMC’s director of global powertrains, Al Bedwell. It's also possible that Dyson's new electric car will compete in the same sector, he said.